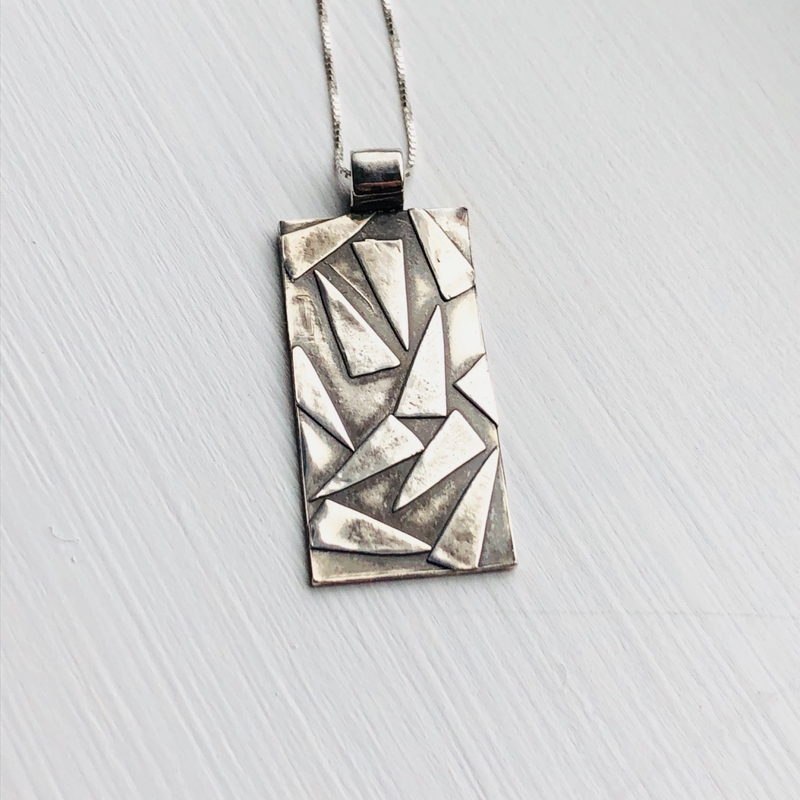 This is the first in a new line of jewelry I'm working on, exploring more abstract designs and patinas. 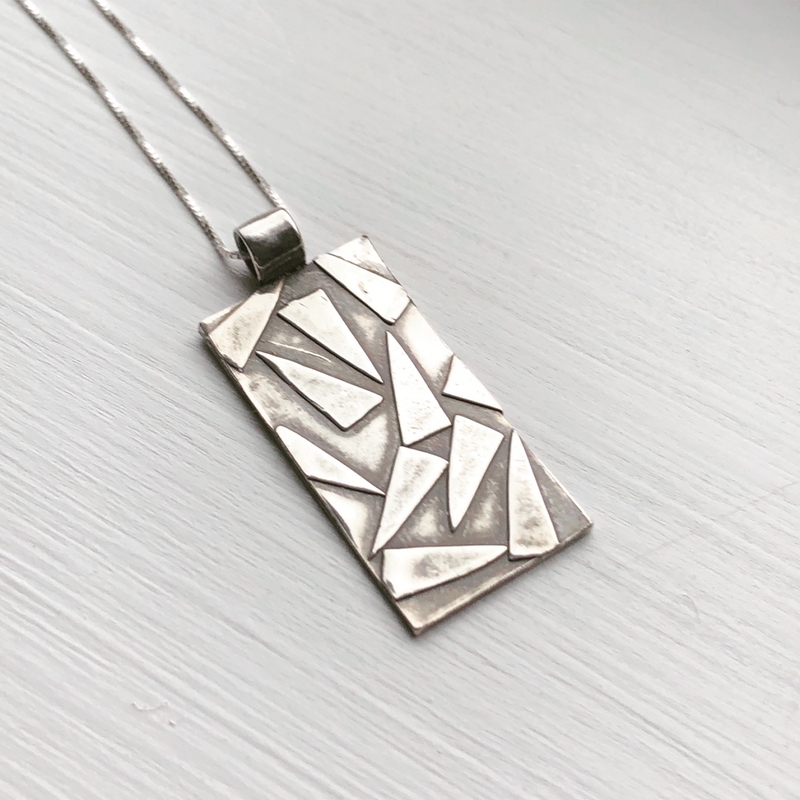 The pendant is a pure silver rectangle, just over an inch long and 1/3 inch wide, and weighing about 5 grams. 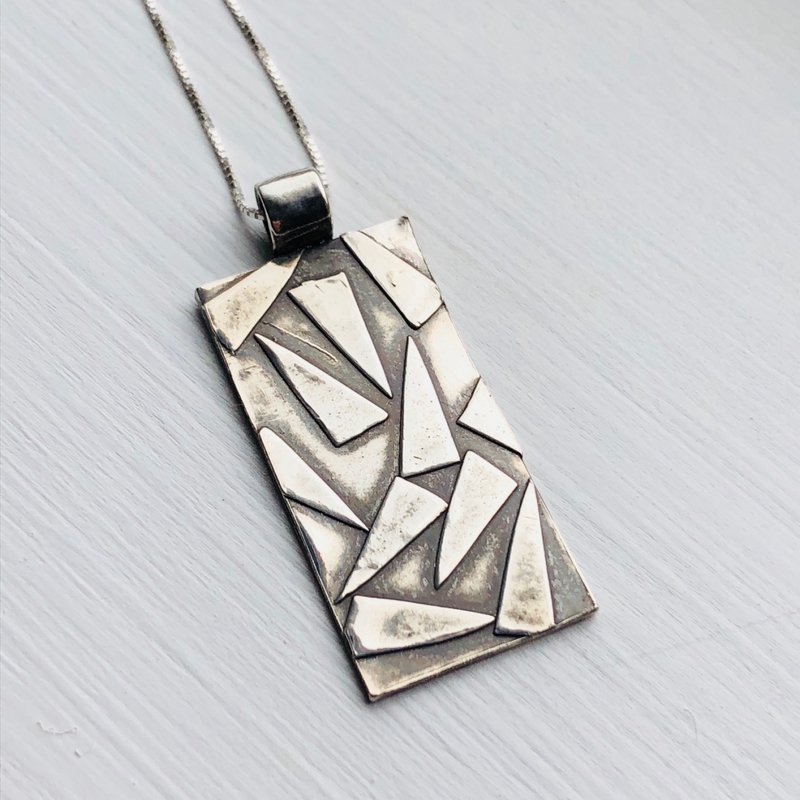 The details have been built up in an abstract triangular pattern, then highly polished and given an antique wash to show off the details. Unusual and stunning. Comes with a sturdy 18 inch sterling box link chain. Ships in a tissue lined jewelry box, perfect for gifting.